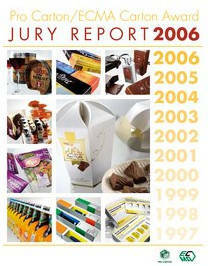 Pro Carton is delighted to announce the results of the annual Pro Carton / ECMA Carton Awards. The awards were presented on 15th September and in the following pages you will find details not only of the winners and finalists but of all the entries in this years competition. With 125 entries, this was one of the best supported awards in the 10 years that this has been running.